The U.S. Navy announced it has ended its search and rescue operations for three missing sailors who disappeared after the crash of a transport plane on Wednesday in the Philippine Sea southeast of Okinawa, Japan. “The U.S. Navy ceased search and rescue operations at 10:00 a.m. Japan Standard Time on Nov. 24 for three Sailors not immediately recovered after a C-2A Greyhound crashed on the afternoon of Nov. 22,” the Navy said in a statement. The names of the three missing sailors have not been released. Eight other sailors were rescued shortly after the crash. “All are in good condition at this time,” the statement said. 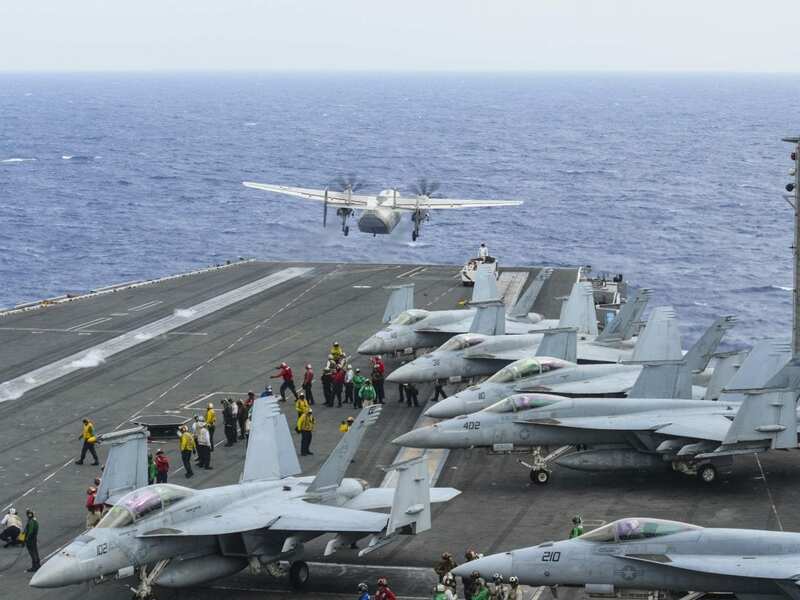 The twin-engine, propeller-driven C-2A Greyhound, used to ferry personnel and cargo, was carrying 11 crew and passengers and was on its way to the aircraft carrier USS Ronald Reagan (CVN76) when it crashed. “An investigation is currently underway,” the U.S. Navy statement said. As we reported earlier Thursday, the U.S. 7th Fleet, based in Japan, has had several deadly accidents in Asian waters in recent months. In August, the guided-missile destroyer USS John S. McCain and an oil tanker collided near the Singapore Strait, leaving 10 sailors dead. And in June, the USS Fitzgerald, also a guided-missile destroyer, and a container vessel collided near Japan.